Currently enrolled students, faculty and staff can access resources off-campus by logging into their MyBarton portal. 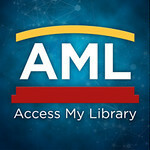 View the Mobile Access Guide on the Library Resources tab. For information literacy tutorials, go to Barton Library's YouTube Channel. Contact Barton Library at library@bartonccc.edu if you need any further assistance. Barton also has access to the Kansas State Library Databases. Open source databases can be accessed both on and off campus without a username or password.